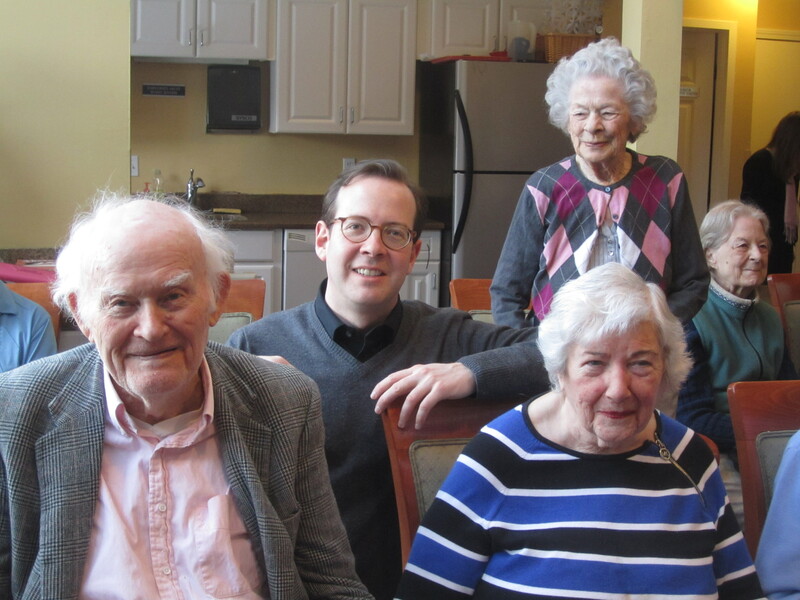 This past weekend, I had the opportunity to do something wonderful with the Back Bay Chorale – a great volunteer chorus I’ve talked about here in the past . 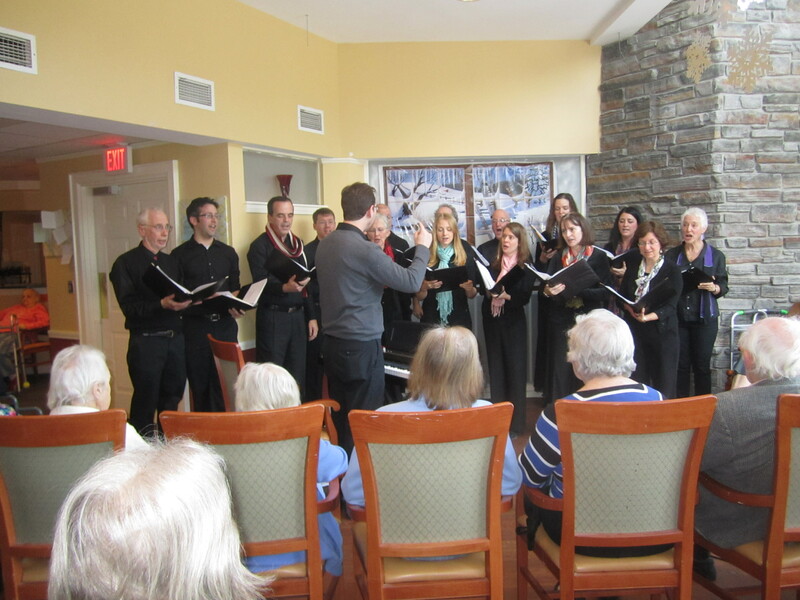 Under the auspices of their new Bridges program, we have been visiting nursing homes and assisted living facilities in small groups, singing well-known songs to seniors in all stages of Alzheimer’s and other forms of dementia. Our foray this weekend was to Hopkinton, where 15 of us sang “The Star Spangled Banner,” “Ave Verum Corpus,” standards like “Moonglow” and “All the Things You Are,” and a sing-along medley of The Sound of Music . The audience consisted of a cohort of Alzheimer’s patients – this was the first facility we’ve gone to that was entirely a locked Alzheimer’s unit – and an energetic, positive staff.